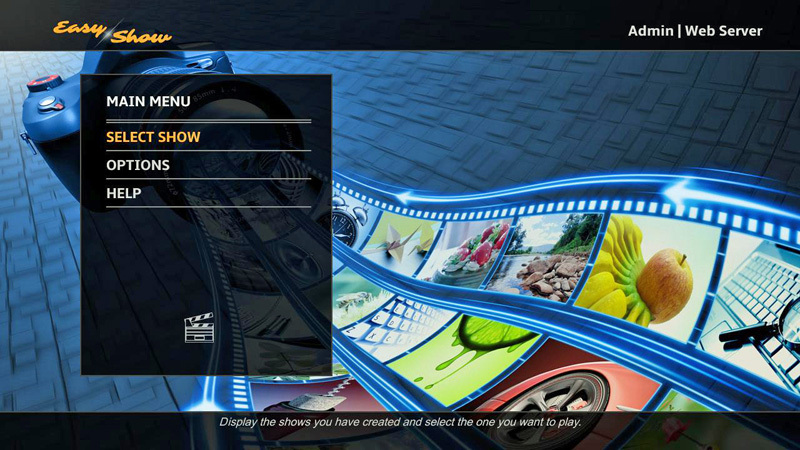 Easy Show allows you to create multimedia slideshows consisting of images, videos, and audio. Share your slideshows with others using Dropbox, Google Drive, or a Web Server. Make changes to the slideshow while it is running by simply adding or removing files. Easy Show also supports USB and UPnP/DLNA. Roksbox gives you the ability to play your own videos and movies, listen to your own music, and show your own photographs on the Roku Digital Video player. Your media can reside on a Plug and Play device (UPnP/DLNA), your computer's hard drive, on an external drive, on a network attached storage (NAS) device located on your home or local area network, on a USB attached device (on USB equipped models), on Dropbox, or on a HipServ based device. 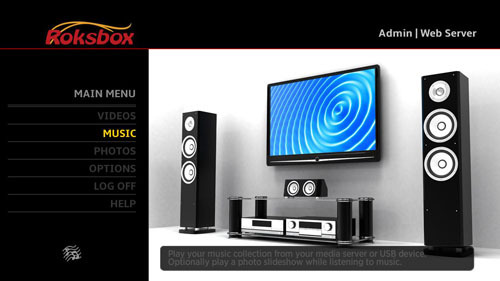 Roksbox now supports Plug and Play (UPnP/DLNA) devices. 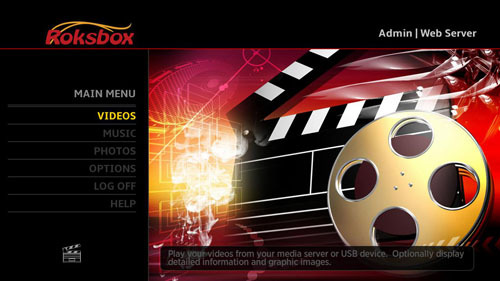 The documentation is located at http://www.roksbox.com. To access the private channel, go to https://owner.roku.com/add/CU2SC. After you enter the channel code, go to the channel store on your Roku player and add the channel. Last edited by WilDD on Thu Jun 23, 2016 5:22 pm, edited 30 times in total. You could probably add to the project by helping wubo incorporate onscreen setup in to the channel so that the channel can be distributed as a private channel instead of through developer mode. His server side is a bit more advanced, but it sounds like your channel side may have some of the features that people are looking for. I like the approach ElWubo took a little better and hope the two ideas can be merged into one. 1) my media resides on different drives on my media server. I do not want to have to re-organize my server nor do I want to have to convert ANY of my media. It is what it is. 2) I dont want to expose my media with a web server. I dont mind having a purpose built server with a single port exposed on my NAS. HTML is way too open an interface and coule easily be compromised. With the Python based server approach (elWubo) I have a single client and a very restrictive server. Much better - in my opinion. 3) I like the on screen configuration of this project. I also like having it available as a private channel. I think you are going to need to supply a small program - GUI based - to generate the users HTML. Most Roku users will have a hard time with this concept let alone actually editing files and creating html. If you want the reach of this channel to extend beyond the active members of these forums you need to consider this. Unfortunately for video, you will probably have to reconvert. Transcoding certain formats to h264 mp4 on the fly is just way to processor intensive to be feasable. Some audio may be possible, but I think it is going to be a long time before you see it working for video. Just so you know, wubo's python server is an http server. If you know the url of the feed you have access to any of the files that the server is sharing. I can see your point that a full blown web server may have more security holes possible, but you could also look at it from this point of view: an open source web server (apache) has millions of users that find bugs and fix them; the python server has maybe a few hundred users and one developer. Security holes may be found but not reported. Either way, whatever your server, you want to make sure the server is internal to your house and you have a firewall or router in place to protect it from the outside world. If wubo got an on screen configuration in to his project, it could be a private channel. I think if we merged the on screen portions of this project with the server portions of wubo's project, it would be a much better product. I think with most web servers you can create ailiases which look like a folder under the root of the web server, but they "point" to other devices and folders that can be located somewhere else. Python is a web server. I don't believe there is any way to stream media files to the Roku player without using a web server. Roksbox will work with Python or any other web server. I'm using Roksbox on a NAS with an embedded web server. I guess you're referring to editing the config file to get Mongoose set up. I can see where that could be a little confusing to the average user, but Roksbox doesn't require Mongoose, it will work with any web server, including Python. I thought Mongoose was fairly easy to install, so that is why it's used in the tutorial. 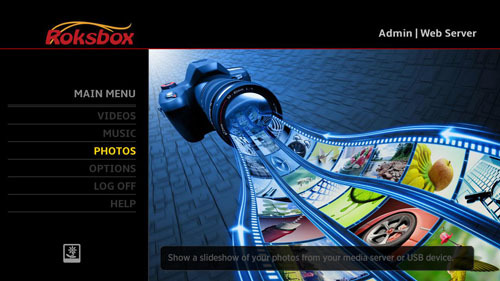 I don't know what you mean by creating html - Roksbox doesn't require any html code. It uses only GUI programs to generate XML files. The user doesn't need to know anything about html or XML. I haven't had a chance to look at the other forum, but by the lenght of it, it looks like a lot of people are having a lot of fun there. If you'd like to join the fun, I'd welcome patches to the client code to move more of the configuration there. If you're a git user just fork the github page and let me know when you have something for me to pull. The music documentation is now on the wiki site (http://roksbox.wikispaces.com/Tutorial). ashes00 and anyone else - post messages here if you have any questions of problems. Once you get things set up on the server side (your configuration), the results on the Roku side will be worth the effort. I am also looking for suggestions on how to make things better and easier. If you already use some media organization software, I might be able to make it work with Roksbox. Let me know what you use, and I'll check it out. The more software we can make work, the more options people will have, and the more versatile it will be. Also, I am looking for Linux and OSX users who would like to help out. I already have one OSX volunteer. I got it to work fairly quickly - can't seem to get Mongoose starting correctly as an install, but worked fine for me in console, so that's ok.
Looks nice and professional when done. One question - what's the minimum XML information needed? For example, I downloaded the Avatar trailer. If I just wanted to do a quick XML file to get that up, what would it look like? For those that might be having a problem try this. And 1'm able to see my content. However it will not play it. It must of not be encode right despite it being a mp4. But I did encode it along time ago. Now I can have all my video on my computer. I guess I know what I'm going to do when I get my new laptop/table. I turn this old computer into a media sender. Or go out and get a NAS. I wounder. can the xml file point to videos out side of the WWW folder so you can have video across many partition. Also the interface is quite buggy. It jumps around alot do to the delay in commands from the remote. Also some times you have to exit out of the channel and reenter it to open one of the sub folder/settings. I just noting it, as I know this is a beta channel. I also had an idea. That when you select one of the sub channels like Videos, Music, or Photos that you are able to inter into even if you don't got any content or xml files. Or something to yet the user know that the Roku can see the web server even if their is no files to play or view or listen to. Also a quick reboot of your computer, Roku, and/or Roku might also do the trick. I assume you mean you want to generate the xml file manually. It can be done, but it's not recommended because of it's complexity. Here is the XML generated from Personal Video Database for tha Avatar trailer. It depends on how much information you want to see on the screen. I guess the minimum would probably be <Title>, <Path>, and probably <Poster>, although it will run without a poster. This is a good example of why I like to use third-party software to generate the XMLs. You get all of this good information, and it does it for you automatically. Some people have complained about having to install third-party software, but I think the benefits are worth it. You could probably get by with this, but I haven't tried it. I've made a few bug fixes to roksbox, and I'm getting ready to release a live demo with several movie trailers, some music, and some photo slideshows. Hopefully I will get that ready this evening. First I have to figure out how to deploy a version update to the private channel. I'm also making it so your media files can reside almost anywhere. If you have any more questions, please ask. I also notice that if you don't put in a thumb nail picture that the data will not show up on the roku. Maybe it was mention in the tutorial, but I thought it was worth mention any way in case anyone was having trouble.